The concept of contemporary glass façades calls for innovative solutions that meet the stringent demands of function and aesthetics on all levels. By design, the properties of the high-performance SILVERSTAR COMBI and SILVERSTAR SELEKT façade glazing from EUROGLAS have been harmonised for optimum effect: They combine thermal insulation and sun protection, without any need for façade planners to compromise on the light transmittance. Thanks to the wide range of different glazing, the two product families offer the maximum choice of options. 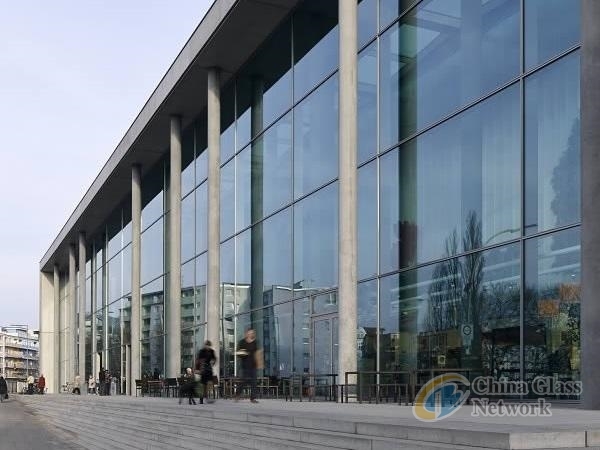 The visual impact is also taken care of: From the neutral appearance to modern grey tints, to brilliant reflections – SILVERSTAR COMBI and SILVERSTAR SELEKT provide the right glazing solution whatever the architecture. The SILVERSTAR product families include both all-round glazing which offers a balance between sun protection and thermal insulation, as well as glazing excelling in especially high-performance sun protection. To enable architects to fine-tune the façade design to optimum effect, not only is the SILVERSTAR family being steadily expanded, the glazing performance values are also continuously monitored and improved.